Looking for a photographic destination of a lifetime? Uganda, otherwise known as the “Pearl of Africa” is one you will want to cross off your bucket list. Most tours are not specifically designed for photographers and on regular Africa tours you don’t get to learn about photography or cameras. Our photo-tour to Uganda, will immerse you in the full photography experience. Are you a semi-professional or even an amateur photographer looking to take your craft to the next level? Perhaps you’re a novice who’s never picked up a camera before but would like to learn how? Imagine being immersed in learning amazing photography skills, against the backdrop of an African Safari or hiking in the rainforest as you come upon Gorilla’s and Chimpanzees; every activity and excursion will give you amazing photographs to share with your friends and family. Regardless of your photographic experience, we welcome photographers of ALL levels – no inquiry is too basic, no question is off limits. Martin, our professional photographer and trainer loves to teach; the more questions you come with the more fun and engaging the experience will be. Your non-photographer spouses / companions will also love our tours; Yes, this tour is focused on learning about photography, but there are so many activities lined up that even if they are not photographers or into photography, they will still enjoy it immensely. We are BIG on photographing in the field – plus, we review images and discuss techniques every day so you can keep improving your skills as we move from location to location. Day photography, night photography, action photography, landscape and nature photography – you will gain tips in every type of photography that you will use in the field and also when you get back home. Think of the photos you will share and the stories you will tell with your friends and family back home. Regardless of your photography experience you will be embraced into our small intimate group, while getting hands-on training and professional feedback on the spot, while shooting at various locales on our trip. This is your photo-adventure of a lifetime! Visit the breathtaking equator that divides the earth and perform the water experiment, which shows that water swirls in opposite directions in the southern and northern hemispheres at the equator line. In the south it flows anticlockwise while in the north it moves clockwise. So cool. The Kazinga Channel connects the two biggest lakes in the area – Lake Gorge in the east and Lake Edward in the west. And from the boat, you can see the shores of the channel which draws a large number of wild animals like hippos and Nile crocodiles as well as many incredible birds you will only see in Uganda. You will first visit Murchison Falls, the largest of all the game drives in Uganda, where you will not only see the Big 5 animals in Africa, but you will hike above the famous Murchison Falls. You will be able to hike to the top and bottom of the falls and hear the thundering roar, which rivals the neighboring Lions. You will also see the various wildlife in Queen Elizabeth National Park and trek the Chimps in Kibale Natoinal Park, hearing the deafening screeches and cries as they call to each other high in the canopy of trees. 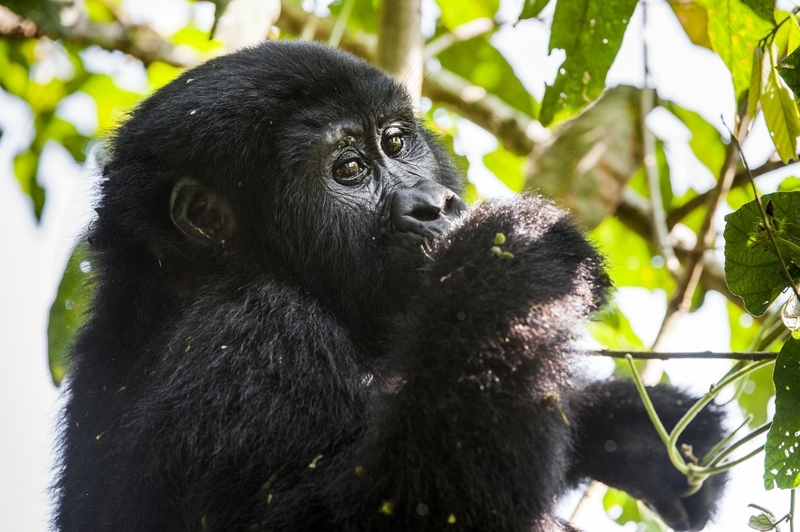 Get your shoes ready to explore Uganda’s “Impenetrable” forest – the Bwindi National Park. Bwindi offers a truly dramatic landscape - from volcanoes to lakes, waterfalls, jagged valleys, and mountain ranges. The gorillas of Bwindi are completely wild but have become used to seeing humans after years of habituation. Because we know that not everyone will partake in the trek, you will have a less strenuous activity – either way, it’s going to be full of photo opportunities! Lying within the Rwenzori Mountain Region, the Semuliki Springs have a male hot spring and female hot spring that is steeped in local legend. Locals and visitors alike can walk around the hot springs and boil food for eating. Prior to arrival, you will walk through the forest floor, while searching monkey’s, such as the Red-tailed monkey, the rare Bearded Monkey and the White Colobus Monkey. Lying near Fort Portal, in the western region of the Rwenzori Mountains, lies Amabere Ganyinamwiru, steeped in legend. Rocks with breast-like structures, waterfalls and open caves make this a site not to be missed. We will meet the Bakonzo Tribe, living in the foothills of the Rwenzori Mountains. You will get to see how the local people live and will also get a private reception with the Ruboni Dance Troupe, where they will sing and dance for you. Join Us as we train 15 local girls in photography. A major part of this tour is to train girls in the art of photography – these are girls that are training to be journalists and the camera’s they receive give them the gift of seeing their world in a new way;, which will allow them earn an income to support themselves and their families. Come learn and teach at the same time – it’ll an unforgettable experience! In August 2018, we completed our first training of 14 girls. They were endeavoring to become journalists. We had a few that were still in school and some who had graduated and were either looking for work or already working, but not necessarily getting paid. Unlike, North America, you are not given the tools for your job. You must pay for what you need and if you don’t have the money, you won’t necessarily advance or even get hired. By coming on our tour, not only do you get to improve your own photography with in-the-field training, but you also get to help change a girls’ life! Photography has been a life-long passion. Seeing what a camera and lens can produce has always inspired me – to learn, to improve and to better my craft. I also believe that by giving back we make the world a better place. Using photography as my medium, I decided to start this company to not only travel and take amazing photographs but to also make a difference in the world. I love to travel, see new things and meet new people but it wasn’t enough. In 2007, I went to Uganda, my homeland to do a documentary about the South-East Asians that were coming back to claim their properties that had been lost when they were exiled by then madman and president, Idi Amin. I knew that I had to do something to change the lives of the people I had met but I just did not know at the time what that thing was or how I would do it. When I got back into photography last year after many years away, the birth of the idea to train girls in photography was born. Over the year, I worked on the idea, found the 15 girls that would be my first students and found the partners on the ground to help me make this happen. Our first photography training took place over two days in August 2018 and through this company and your participation, we will be able to change the lives of more girls hopefully with 2 trips a year. Read more about the experience on my blog and sign up if you too are interested in making a difference! Triple F stands for Fun, F(ph)otography and F(Ph)ilanthropy – three things you will find on our tours. Are you ready to come along on this life-changing adventure? For me, photography is an art form to evoke an emotion when making and viewing an image. It’s certainly not a unique concept but the enjoyment of making each picture actually captures my own feelings and stirs up those of the onlooker, now that is the very personal goal. Having first picked up a 35mm SLR in high school, by university my archeological projects lead to many photo applications, from aerial stills in helicopters, to film making of thesis and project reports. The objective always included relating information in an arousing way. Even early on, in traveling from Algonquin to Arizona, from England to Crete and Baffin Island to Fort Good Hope, photography was more than a recording device but rather a way to capture the FEEL of the people and place. This concept and goal continues to grow stronger within my commercial photography that now concentrates more on horses, from equestrian jump events to fillies in the field. My personal photo endeavors have the same direction but are for me! Perhaps it has been this same drive to communicate through photography that has directed my growing passion to teach photography to others. In 1977 it started with composing and teaching retail courses in movie making: the Elmo mini-schools. Through the 80’s as the Canon Tech rep it meant designing and conducting cross-Canada intros and training programs on new camera equipment. As of late the teaching of basic to more advance photography with ‘Henry’s School of Imaging’, and for ‘Board of Ed.’ and local ‘Parks&Rec.’ adult education classes, plus private studio and site lessons all continue this theme. 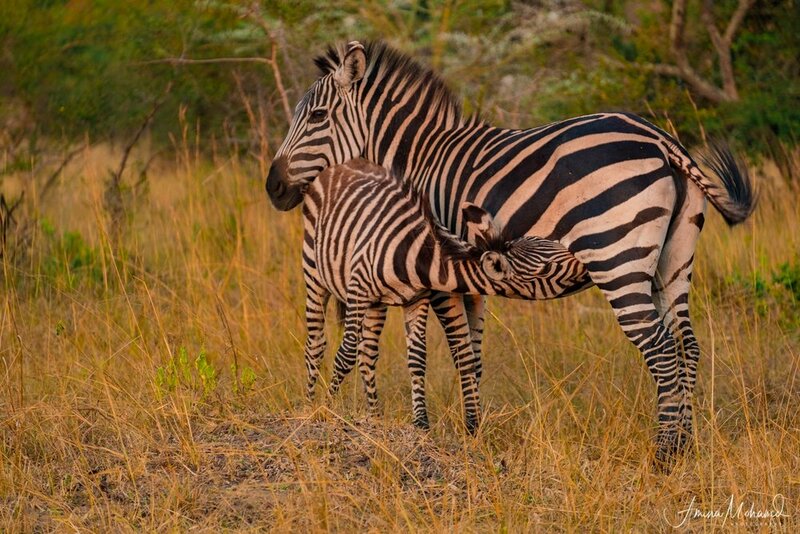 I’ve been to Africa a few times and I can assure you that you are in for a treat for the senses. Rwenzori Safaris is a private tour travel company based in Uganda that provides tourism holidays across the Country. Rwenzori Safaris is owned by indigenous people with experience in the hospitality and tourism industry. We always strive to ensure your holiday is a life-time memorable experience for our guests. Rwenzori Safaris is a tour company that was founded by a Television journalist who committed his entire career on environmental, wildlife and tourism reporting. While practicing as a tourism reporter, he discovered that Uganda was a hub of tourism that is less known to the World and hence the genesis of Rwenzori Safaris. Security of our guests takes center stage. Given the background of the founder, Rwenzori Safaris gives priority to safety of the clients and its staff ahead of every safari. We have strong contacts with the Uganda Wildlife Authority, who we closely work with to ensure safety of our client is guaranteed.